For Android fans who like living on the bleeding edge, the last few months have been a whirlwind of activity. Android P made first contact back in March, and we were quick to fire up our Pixels and install that early Developer Preview. Not only did we see more and more features land through the next few DP releases, but also had unprecedented access to these early builds thanks to support from manufacturers like OnePlus and Essential. 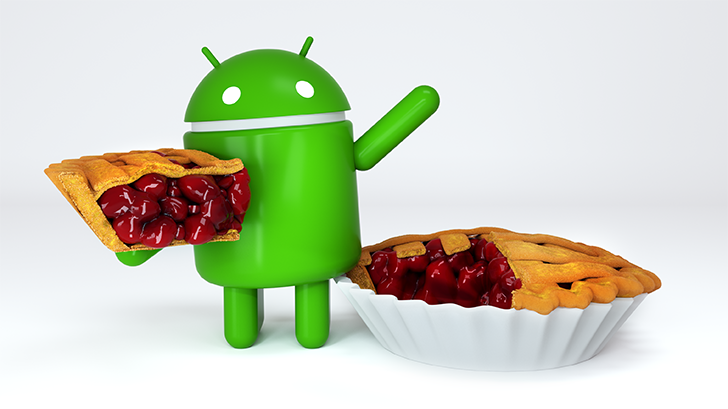 Today it's time to start putting all those previews behind us and formally enter the next era of Android, as Google announces Android 9 Pie. 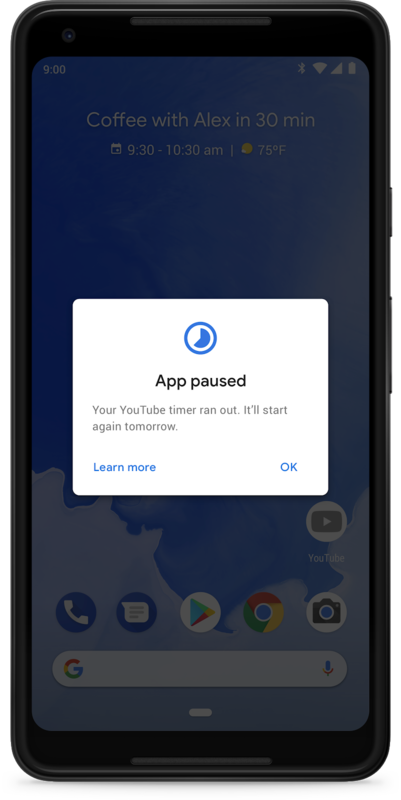 We've largely tried to avoid the blind guessing game that is “name the new Android release,” but after hearing ideas ranging from Pecan to Pistachio to Pineapple, we've finally learned that Google's chosen to keep things short and sweet. And as we've seen before, Google's going with Android 9 rather than 9.0 for Pie's version number. Today's news follows the release of DP5 by under two weeks, and nicely fits with the early-August target suggested by Google's initial Android P timeline. Recent rumors had hinted that the company might wait until August 20 for its release, but clearly Google had other plans. In announcing Android 9 Pie, Google highlights features like the new swipe navigation system, predictive App Actions, and more under-the-hood improvements like Adaptive Battery. 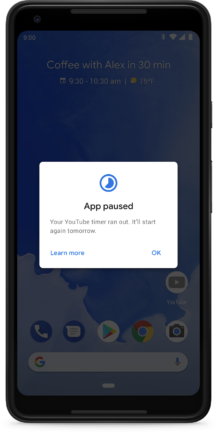 Not everything that makes up Android Pie is ready to go as of today (even with all these Developer Previews under our belt), and some elements will instead debut at a future date. For instance, back at I/O we learned how Slices would let Android P give us quick peeks into our apps. Google's still finishing up work here, and Slices will ultimately debut sometime this fall. Digital Wellbeing features arrive in beta today, ahead of full release this fall. 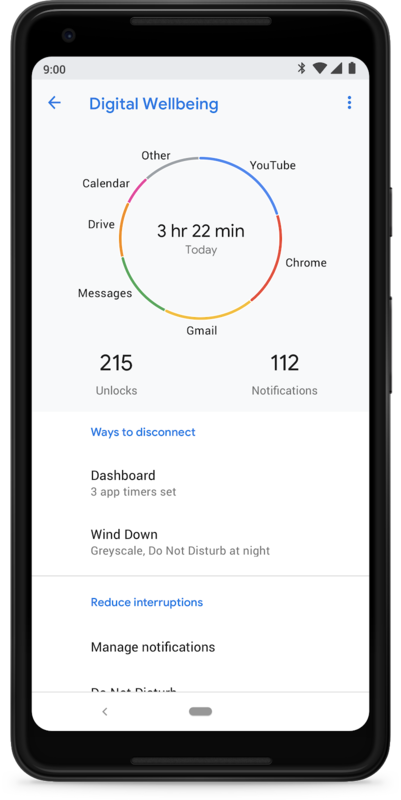 Another big absentee has been the Digital Wellbeing package also teased at I/O, consisting of the Android Dashboard, App Timer, Wind Down, and revamped Do Not Disturb mode. Today we finally get the skinny on what's happening here: Digital Wellbeing will first arrive on Pixel phones during the fall. Support for other phones, including Android One models, will follow. But if you just can't wait any longer, Pixel users can sign up now for early beta access — just follow this link for details. Ready to get started with Android 9 Pie? OTA updates will start heading out today for Pixel phones. Handsets from other companies that participated in the P beta should also be updating to the final Pie release in the weeks to come. We can also look forward to Pie arriving for compatible Android One devices before the end of fall.